Exercise Science is the scientific study of exercise and sport. As a discipline, exercise science is heavily rooted in the physical and life sciences including chemistry, biology, and physics. The field of exercise science involves the study of physical activity and the impact it has on health, fitness, and athletics. Exercise science graduates can choose from careers in university research and teaching facilities, sports medicine clinics, hospital and cardiac rehabilitation centers, public health organizations, corporate fitness centers, health and community fitness clubs, personal training, and athletic coaching. 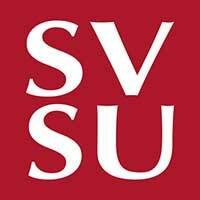 Within the SVSU region, there are many businesses and organizations that offer clinical experiences for our students. These include health clubs, community and corporate fitness programs, and medical/clinical sites such as cardiac rehabilitation centers. Students are provided with strong field-based instruction in areas of exercise testing, exercise prescription, programming techniques, nutrition, and organization & administration using current technologies with a variety of populations and environments. The Exercise Science major is designed so that students can meet specific competencies set forth by the American College of Sports Medicine (ACSM) and the National Strength and Conditioning Association (NSCA), which are the two most recognized institutions promoting health & fitness and athletic conditioning worldwide. The ACSM Health/Fitness Instructor® (HFI) is a professional qualified to assess, design, and implement individual and group exercise and fitness programs for apparently healthy individuals and individuals with controlled disease. The HFI is skilled in evaluating health behaviors and risk factors, conducting fitness assessments, writing appropriate exercise prescriptions, and motivating individuals to modify negative health habits and maintain positive lifestyle behaviors for health promotion. The HFI certification provides professionals with recognition of their practical experience and demonstrated competence as a leader of health and fitness programs in the university, corporate, commercial or community settings in which their clients participate in health promotion and fitness-related activities.